He may have started out as a whiny little farm boy on Tatooine, but Luke Skywalker certainly has come a long way in the Star Wars movies. He successfully delivered R2-D2 to the Rebel Alliance. He blew the Death Star to smithereens with a single proton torpedo shot from his X-Wing. He studied under Yoda, the most accomplished Jedi Master in the entire galaxy. He crossed lightsabers with Darth Vader… and won. And, as it turns out, he looks really awesome with a big beard and an awesome white cloak! Yes, Luke Skywalker has changed his look in the latest Star Wars film, The Last Jedi, and he’s looking better than ever if you ask us. He’s looking a little more like Obi-Wan every day and although he might be older, he’s still got it. 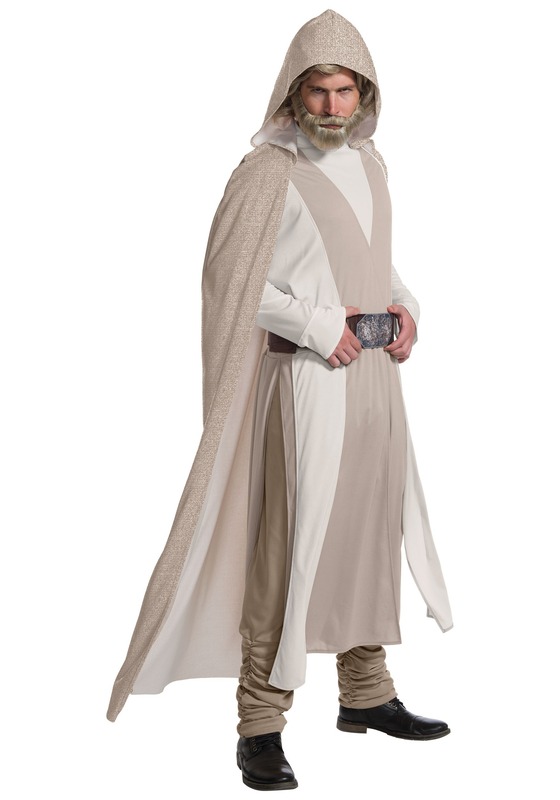 If you’re the kind of person who is getting past those “young” Jedi Padawan days and you’re looking to get a look that reflects your years of experience, then maybe you should be looking at this Luke Skywalker costume from The Last Jedi. The adult deluxe costume comes from the movie and fully recreates Luke’s look. It comes with a white robe, a hooded cape and a pair of pants, which offer you truly stoic look. Of course, if you truly want to master the ways of the Force and provide Rey with some much needed training, you may have to spend many years in exile on the planet Ahch-To hanging out with the Porgs.